If you have some costumes you want to share, comment the directions on how to make it and give a link to a photo of it or give a link to the costume in the Avatar Studio. Don’t worry – we’ll give you credit! If the link is wrong, please tell me. Add “stupiddirectord”(no quotations) in your friend list and find the shirt in her closet. Find any pink lips, but the best can be found in the fall fashion outfits in the store. Use the hair in any vampire girl costume in the store. Ok, u remember the thaila costume I mentioned, right? So you get the biker girl from the store, and customize the jacket. Get the short straight hair, put it on, and the really thick side bangs. Put those on, too. Get the electric staff thing from the store. The shirt and pants are from when you first start the game, but you can customize it from pinkcrayon234. The link: well, just type in the above username in the avatar studio. Thanks! but ma,am for that beard i will have to complete half of wild west and half of nabooti and wild west is difficult and reaching the nabooti island mountains of the moons is too difficult so i do not really have a account with all that stuff. I’ll find a way to get a photo, don’t worry. 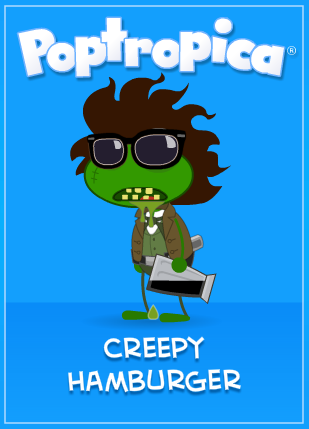 Just go to the Poptropica Store by clicking the green coin, find the costume you want, and click the button to keep it in your backpack! If you’re not a Member, make sure you have enough credits to buy the costume. 😉 If you are a Member, though, you can get it for free. Rockstar 1 isn’t available anymore Wolfy. ma,am, i also have a glitch which is really discovered by me, just me and nobody else. if you do not want to play the changes on reality tv, just click on reload and you you will straight away go on the voting. thankyou ma,am. silver wolf ma,am , i’ve the santa costume though their is no link to the avatar studio but i can tell you. Can I “change into” a costume in the costume closet? 2. Customize the Hades Mythology Surfer’s braid and top. 3. Go to Shark Tooth Island. Get the grass skirt and get the lei from the guy with the ukulele. Customize that guy’s green pants as well. 1. Get hair from the Hypnotic costume. 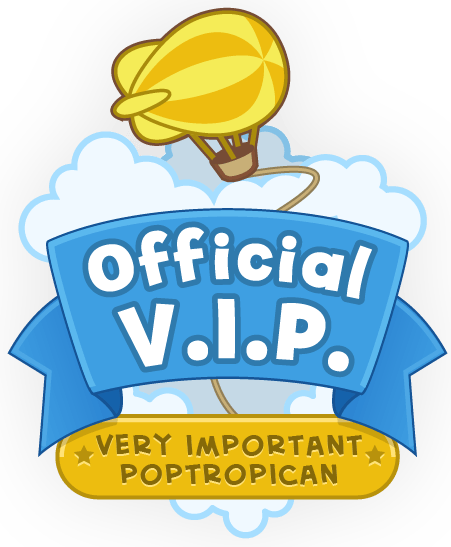 (If you’re not a member like me go to Early Poptropica and go to the green building at the window with the orange flower in a pot. Click the top left window pane and you will get this costume. Just use the hair. I have Quite a few costumes. 1. Go to mythology island and get the hair, pants and Spikes on your shoulders from the minotaur. 2. Put on Hades’s crown and poseidon’s pitchfork. 3.Get the shades from the greek surfer costume. 4.Get a cape from Masks and capes in superpower island. 1. Change the skin color to dark green. 2.Get the hat thing from the troll costume. 3. Get snakes for hair with the Medusa power. 4.Put on the Psychadelic shirt. 5. Get the black vest from either the magician, the biker, or the rock singer costumes. 6.Get the belt from the biker costume. 7.Get wings from the Demon costume. 1. Get the santa hat and sack from the phone glitch on nabooti island. 2. Customize the shirt from the king on astro knights island. 3. Get red pants somewhere. 4. Get a red cape from Masks and capes on superpower island. All of these are in my closet in poptropica. Also, now you can call me, Michael, by my wordpress account, CuriousGrape13. 4. )To get the elf ears(since they are no longer in the store) you got to the mall on night watch island and go to the costume store and you will find an elf costume and this is where I got the ears! 5.) I have bangs that cover most of the hat but any bangs should be fine for your character! THE GREATEST QUESTION OF ALL!HOW DO YOU GET THE SHIRTS WITH ISLAND LOGOS ON THE FRONT!!!!!!!!???????????????? Sorry, but that’s not exactly the type of outfit we’re looking for. Thanks anyway! I have a costume I want added! I can email you the picture if that’s alright. I’m sure you’re not that bad. When are you going to put up the picture for the blue bard? How about jason from the heroes of olympus? Can i post some of my costumes? If yes how? Does anyone know how to get black widow costume? Well, I got it from the Customize Everything glitch, but it has now been patched. 😦 There are dummies that have this costume, though. Do you know the user of the black widow dummy? The person doesn’t want me giving it out, sorry. 😦 I would comment it if I could. You could email me and I won’t yell anyone! You don’t HAVE to add the super infested human. There’s one called Jesus too. And Coskit……. and a few others…..
Hey Silver wolf,sorry that the costume changed but now it’s back to the robot lumerjack. I already took a picture. Thanks! Wut does ur poptropica character look like silver wolf will u post a picture of it??? Silver wolf wutz ur username on poptropica cuz u seem cool and id like 2 friend u.
Sorry,that it isn’t really a good costume. I did a Luna Lovegood costume! 8.My favorite!! Go to the glasses store on Spy and get the pink glasses for Spectra Specs!!! Can you please give a link to the costume’s picture? Thank you! SW will probably have it up soon! 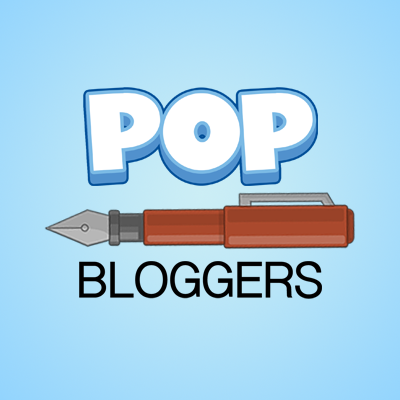 May I use it on my blog (The ATP) as well? Yeah, I customized someone when I was on my boy account and got it. I have no idea where it’s actually found, so I made an account that had it. Good job sleepy feather and spotted dragon on the awesome harry potter and Percy Jackson costumes! I have never heard of the other characters though, but i think i have heard their names before, are they from the hunger games? I have never read it. But i think Percy would be better if u used the rusty relic for riptide. Awesome! That will be up soon! Can you give a link from the Avatar Studio, please? Okay. If you go to the link below and scroll down it says that my blue jacket is from The Electric Company Ad. I can’t prove this since the transporter stopped working, so I’ll assume it’s correct. Hey, SW, can you add this to the page? Oh! I’m really sorry. I have been busy, and completely forgot the Costumes page! How to get the most awesome mad scientist costume: Keep randomizing your poptropican until you get one with a shirt that has a skull picture on it that has grey stripes behind the skull. Then go to the haunted house, go to the monster party, and customize Death’s belt. Then go to super power island and customize the scientist’s lab coat. Then go to Mount Olympus on Mythology and customize the guy with the wind bags’s hair. You need the skull pirate costume, and customize its peg leg. Then get the goggles from the hypnotic costume. Use the customize anything glitch on any friends that have a robot face. But don’t take the eye, just take the other robot part (This is optional, but it makes the costume better). Then go to the carrot king diner and make a cup that has black water in it, and then fill it up as much as you can with white without it getting completely white, then choose your skin color. You can pick any color, but I prefer PD’s skin color. It is the best costume in poptropica! It will be added soon. Thanks! Yes, this is your idea, but I can’t make it because I’m a girl. Can you add a link from the Avatar Studio for me, please? That first comment was for a scientist costume. He’s a boy, so I asked him to get a link for me because I can’t. Sorry for the confusion! Can you give me a link from the Avatar Studio, please? I can’t get some of this since I’m a girl. It’s okay! You didn’t have to anyway. The singer is Sticky Clown’s 1,000 hits contest winning costume – The Singer of Love. Do you think the winning costumes in your 1000 hits contest will be featured here? Robes and crown: From the king of Arthurus. Zombie eyes,mouth and face: From the Zombify item by completing Haunted House. Jacket: From the Leprechaun costume in the store. Shirt and pants: From the Frankenstein guy in the Ghost’s Gala (the underground tunnel in haunted house). Knife: From the guy with a grey beard on the far left on the Main Street in Astro-Knights. Scepter: From the Pharaoh costume in the store. Skin: Turn it purple using the Ctrl+Shift+S cheat,the Colourizer,or the balloons in PT,EP. My Poptropolis Chief Warrior Costume! 5. Green skin from doing Ctrl – Shift – S cheat. Sorry, don’t have a pic for it. 😦 Maybe you can make it yourself and see! Yeah, the drunk zombie won for me at the PHB’s Halloween Costume contest.